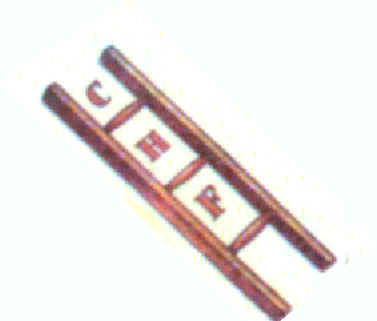 Orangeism arrived in Whitehead in November 1908 when the first Lodge (LOL 721) was formed in the town. The Worshipful Master of this lodge being John Greenfield. This warrant was issued to Carrickfergus District Lodge by the Grand Orange Lodge of Ireland in 1891. LOL 721 operated in Whitehead for several years but eventually closed. Another warrant 968 was taken out in 1928 and again John Greenfield was installed as Worshipful Master. LOL 968 had previously been in operation in Collin near Lisburn in 1865 and in Killead District in 1891. 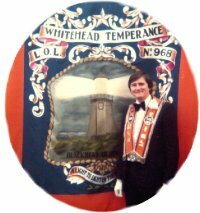 Whitehead Temperance LOL 968 has maintained a steady membership over the years. 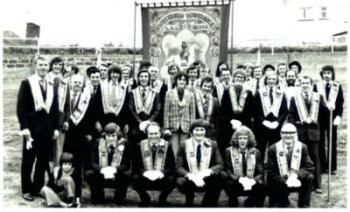 In 1974 the Lodge had fifty seven members on parade in Larne at the 12 July Demonstration . 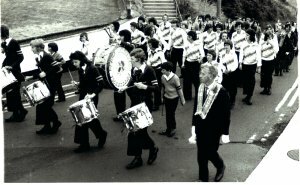 Members of LOL 968 were to the fore when it was decided by Carrickfergus District Lodge to revive the re-enactment of the landing of King William in what has become known as the Pageant. Whitehead Temperance LOL 968 is unique in many ways! Its meetings are held in a former amusement arcade. Lodge functions are held in the former swimming `pond' building erected by Whitehead Urban District council, opened in May 1931. The swimming pool and buildings are now under the ownership of the Whitehead Glasgow Ranges supporters club. The club is situated on the sea front in line with Chichester Castle looking out over Belfast Lough. 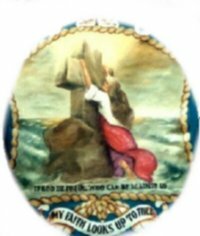 The lodge parades in the town with "no streets"
It has a lighthouse on its banner!